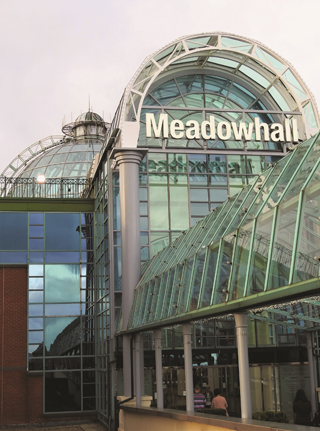 Situated close to the M1 motorway, Meadowhall shopping centre was the biggest USA-style shopping mall in Europe for a while. It is a hugely influential building since it is the most visible and recognisable structure in Sheffield – both for many visitors and millions of travellers per month who drive past on the M1. While not everyone’s favourite place or concept, there is little doubt of the impacts – good and bad – of Meadowhall on Sheffield and the region. On the one hand, the development of Meadowhall and the associated economic resurgence of the Lower Don Valley sucked the lifeblood from Sheffield city centre. On the other hand, Meadowhall has been enormously influential in drawing people, money and investment to the region. 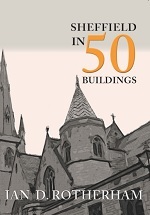 The development was the brainchild of Yorkshire multimillionaire Paul Sykes, and supported by – the unrelated – Hugh Sykes, Chairman of the Sheffield Development Corporation. The scheme turned the largely derelict industrial land into retail and entertainment facilities to create what is now the eighth-largest shopping centre in Britain; and with current expansion plans it will move back up the table. In its first year of opening the centre attracted 19.8 million visitors, a figure that has since risen to around 30 million visitors per annum. Designed by Chapman Taylor Partners and built by Bovis, the centre opened on 4 September 1990 with 280 stores and other facilities in a floor area of 139,355 square metres. Its green-clad roofs and glazed domes have become an instantly recognisable feature that dominates the Lower Don Valley. The structure radiates out from a main central dome with three top-lit galleried malls in an American-style design. A major feature is the 2,000seat food mall, which was apparently based on the Plaza de los Naranjas in Marbella as a ‘typical Spanish village square’. While Meadowhall and the nearby developments had a colossal impact on Sheffield city centre and nearby Rotherham town centre too, in the former case the result has been a renaissance of its own. Sheffield has responded and, twenty years on, is much improved and in much better heart.